Blackberry (Rubus Fructicosus) other names: Black Berry, Bramble, Dewberry, Feuilles de Mûrier, Feuilles de Ronce, Goutberry, Mûre, Mûre Sauvage, Mûrier, Ronce du Canada, Ronce Commune, Ronce Laciniée, Rubi Fruticosi Folium, Rubi Fruticosi Radix, Rubus affinis, Rubus canadensis, Rubus fruticosus, Rubus laciniatus, Rubus millspaughii, Rubus plicatus, Thimbleberry, Zarzamora. The plant known as the blackberry is a well known shrub; it is a sprawling, woody and dense plant with stems that are prickled. The blackberry has tenacious, trailing stems reaching up to five meters or 15ft in length, when any of these stems comes in contact with the ground, it gives off roots and the plant increases the area it occupies in this way. Blackberry bears dark green colored leaves; the leaves are grouped in clusters of three or five leaves each. Fine hairs can be seen over each leaf and the edges of the each leaf are serrated or toothed. 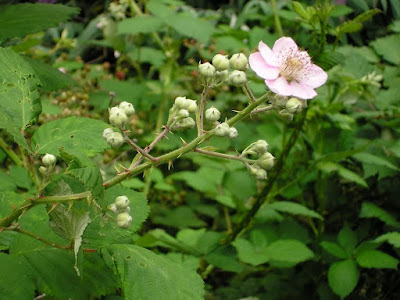 Blackberry bears white or pale pink colored flowers and these come out in mid summer or in mid autumn, the bloom of these flowers is immediately followed by the well-known fleshy berries that ripened to a black color. The same plant may bear both flowers and fruits at the same time. Blackberries have been gathered from the wild for thousands of years in Europe, where the delicious berries are used as food and in preparing different dishes. Blackberry shrubs teem in both urban and rural areas, the ritual of 'blackberrying' is an enjoyable autumn activity for many families in the countryside. Blackberries are prepared into jellies, pies, made into wine and vinegar; the juicy berries are also eaten as such when they are in season. The consumption of blackberry jelly and wine was considered to be a fine cordial from the late seventeenth century onwards, particularly when a little brandy was added to the mix. Blackberry abounds in vitamin C and the fruit is a very good source for essential dietary fiber. As blackberry is traditionally one of the best known fruits in Europe, country superstitions concerning the correct or auspicious time for picking blackberries still persist in many places in Europe. For example, according to a popular belief, blackberries must be picked before Michaelmas, i.e. September 29 in the United Kingdom. The belief stems from the superstition that the devil contaminates all the berries in the wild by spitting or urinating on them after this date has passed. The ancient Greeks were also familiar with blackberries and they considered it to be good for treating gout, the blackberry also features in the Bible and other ancient texts. The blackberries normally seen in hedges are the Rubus rhamnifolius and the R. coryfolius species, in both specific types, the calyx on the fruit is reflexed and has a distinct reflexed calyx, with leaves that are hoary on the underside. Dewberries come from the R. coesius species, these berries are distinguished by having large size grains, all of which are covered with bloom and are few in number, wholly and closely held by the calyx. The species botanically called R. saxatilis, or the common Roebuck berry and sometimes called “the badge of the McNabs” is a herbaceous species seen in mountainous regions along Northern latitudes, these species are distinguished by bearing ternate leaves and possessing fruits that are few and bear large red grains in small clusters. The American bramble or the R. odoratus species is an erect and unbranched shrub. It is characterized by the possession of large five lobed leaves with the addition of rose colored flowers when in bloom. The Virginian raspberry - botanical name, R. occidentalis - is characterized by bearing pinnate and ternate leaves, as well as having white colored flowers and black fruits. In some parts of Britain, the blackberry is called ‘Scaldhead.' This peculiar name may have been sourced either from the eruption known as scaldhead that afflicts children who have eaten large amounts of the berries - because the over ripe fruit is indigestible and can cause such symptoms - or the name could be from the malady of the scalp which can be cured by consuming the berries and leaves. Alternately, the name could be an allusion to the remedial effects of the leaves which are applied externally to scalds as a topical poultice. A poultice made from the leaves are still said to be employed in parts of rural England to treat scalds and burns on the body. A spoken oral charm was formerly used when this remedy was employed in treating people. Traditionally, crawling underneath a bramble bush was a charm to ward off rheumatism and problems such as boils, blackheads, etc. When they were gathered at the right time of the moon in older eras, the blackberries were supposed to confer protection against all 'evil runes' on the person. The entire plant was once believed to possess a significant power both as a medicine and as a charm; it was used to treat various ailments and used in warding off spirits. Since very ancient times, the flowers and fruit were employed in the treatment of venomous bites; salads would be made from the young shoots and these were though to hold up loose teeth - a belief that Gerard cautiously upheld would occur only with the addition of a little alum to the shoots. Most medieval herbalist such as Gerard regarded the bramble as being a significant astringent, which they contend when eaten or applied on the skin, and are a very useful poultice for piles, the fruit was supposed to halt looseness in the bowels and was said to be good for treating stones in the body. The herbalist also believed that it was a good remedy for soreness affecting the mouth and the throat of a person. Herbal tea prepared from the leaves of the blackberry has traditionally been much valued as a home remedy for treating sore throats and prolonged diarrhea. The chewing of the fresh blackberry leaves is a very ancient remedy for the treatment of bleeding gums and related oral disorders. While traditionally, crawling underneath the bramble arches was once the normal treatment for all kinds of boils in areas of south-west England. Contemporary herbalists suggest a simpler alternative for all these uses of the blackberry, one is to make the patient drink a cleansing herbal blackberry leaf tea or to apply a poultice prepared from the lightly boiled fresh black berry leaves. Another long standing remedy for feverish colds affecting a person is the use of blackberry vinegar. The blackberry is cultivated mainly for its delicious berries; the shrub is a native Europe species. It has crossed the Atlantic and is now found in the north eastern and central states of the US. The shrub is a common hedgerow plant and thrives in scrubland, in thickets, and along the edges of woodland. 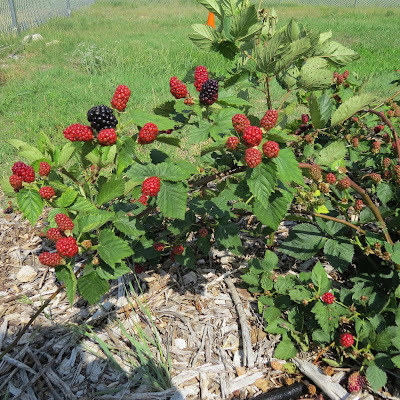 The blackberry is also an invasive species in gardens and near human settlements. 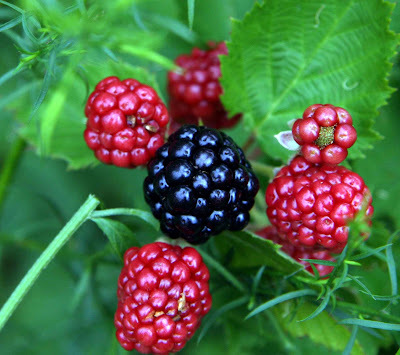 The blackberry is very easy to cultivate in well drained loamy soils and blackberry grows well in most soils. The blackberry can grow well both in acidic and in alkaline calcareous soils as long as the soil is well drained. The shrub is tolerant of poor soils and can be considered to be a very hardy plant. 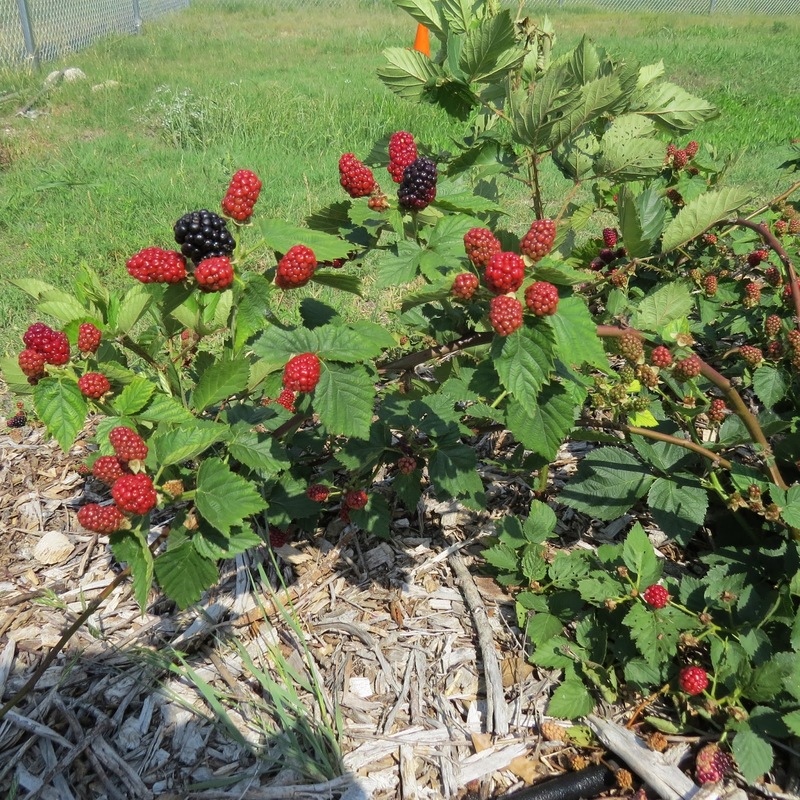 Once they are established on a site, blackberry plants are very resistant to drought and low moisture conditions. Though it does yield a lot of fruits if grown in shady sites, the plant can still successfully grow on sites with good exposure to sunlight or in the semi shade. Even when blackberries are grown in sites with fairly deep shade or against a north facing wall, they still bear fruits, even if the fruits take longer to ripen. Blackberry is also used as a mouth rinse for mild mouth and throat irritation. Herbalists often suggest blackberry leaf as a general herbal astringent. Blackberry is used for treating inflammation in the throat and the mouth and in the treatment of non-specific acute diarrhea. Herbal tea mixtures often contain the dried or fermented leaves of the blackberry. The astringent properties contained in the leaves of the raspberry are also recognized by herbalists and these leaves are principally used in the treatment of diarrhea or used as gargle for different kinds of mouth or throat infections. The leaves are also included as ingredients in commercial herbal tea mixtures sold in the market. The pain during labor was traditionally treated using an herbal raspberry tea. The blackberries are eaten as raw or cooked. Ripe fruits can be obtained from July through to November, and the best varieties give delicious fruits and, with a range of fruit types. Berries are also made into fruit syrups, fruit jams and as other kinds of preserves - the berries have been traditionally prepared in this way. Stomach disorders can arise in some people if they eat the fruit before it has had a chance to ripen and are still quite soft, while others do not have any problem with eating the fruit at any stage. The blackberry root is also cooked and eaten in some places. Ideally, roots for consumption should be neither too tender nor too hard; roots that need to be boiled for long periods of time must be avoided. While the tender young leaves are ideal in making a tea, the dried leaves can also be used. Herbal tea blends often include the dried leaves of the blackberry - these are sold at many herbal shops. The tender young shoots of the herb are also consumed raw in salads. These tender shoots are collected as they come up from the ground early in spring; they are peeled and then eaten raw or mixed with other vegetables in a salad.